Show off your hat inventory with a touch of flair. 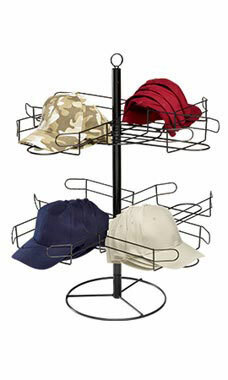 The Counter Cap Spinner is a stylish retail fixture that features two rotating tiers that hold up to 48 caps. Each rack has a black finish that stands 25"H x 26" diameter with a 12"W plastic base and top sign holder.